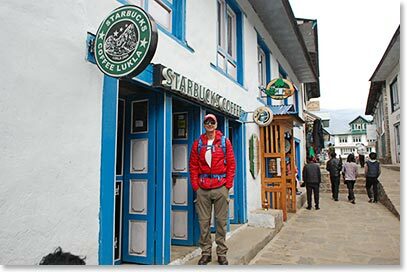 We are calling from Namche, at the Panorama Lodge. 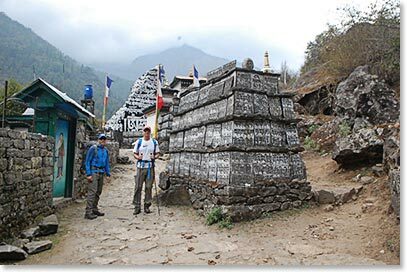 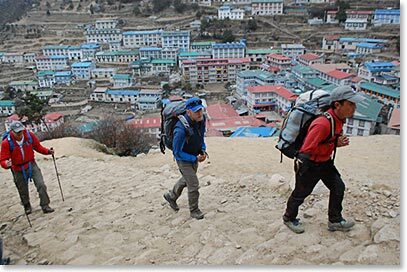 We left Phakding this morning; we entered Sagarmartha Natural Park with the weather somewhat foggy but still good for hiking and climbing the Namche Hill. 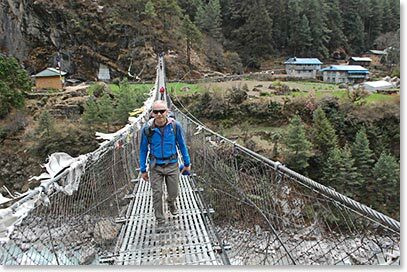 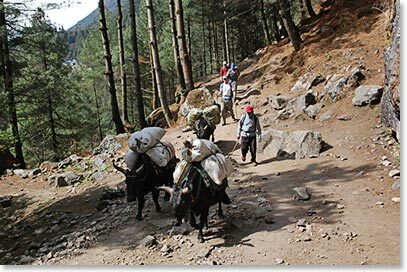 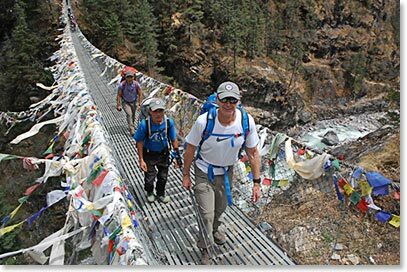 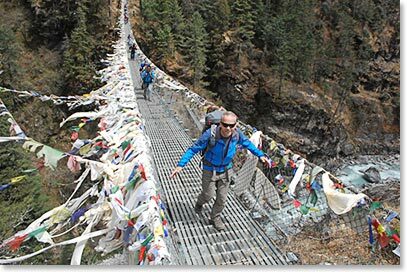 We crossed beautiful bridges covered in prayer flags and by 3pm we reached Panorama Lodge. 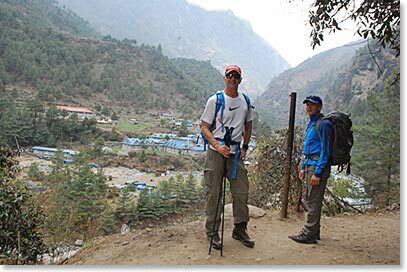 Mark and Chris are both doing really well and are enjoying life in Namche Bazaar.